January 2019 was a big month for creating Zentangle tiles. 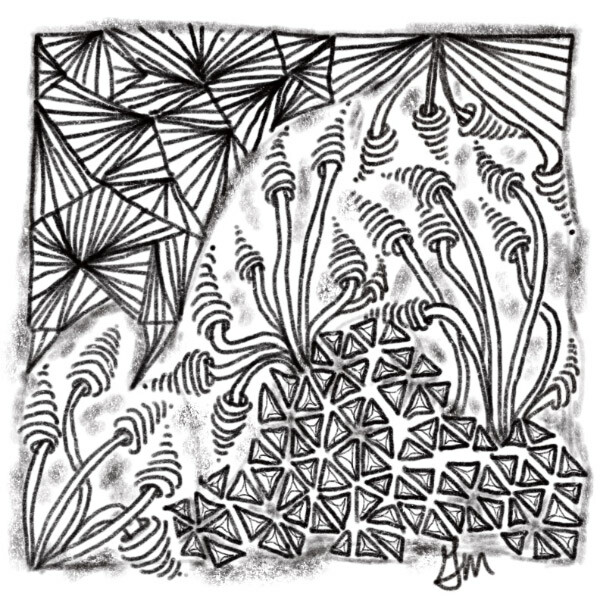 I was working my way through the Zentangle Primer Volume 1 (Kindle Edition) that was recommended as prework for the class I will go to in late March. I enjoyed the exercises that I completed on my iPad with the Apple Pencil but going back to the traditional light-colored tile and black ink…drawing a frame and string, initialing, and shading. It was a burst of change – some new patterns, going outside the frame, overlaying patterns on previously completed tiles (the black tiles in this group). I selected 20 of the tiles I made while working my way through the primer to display below….going beyond the 31 for the month. Now for the 31 for January. The ones done after the primer tiles all have a frame. I like the white shading that I can do within the Procreate software…after some practice. I probably will revert to frameless soon but will continue to use the shading.